If you want to learn how to be a supple leopard or maybe don’t know what the term means, you’ve found the right blog. As a lifelong, natural bodybuilder, I didn’t know myself how to be a supple leopard. Not only was the term foreign, but the idea of mobility, stretching, flexibility that pertains to my sport was so alien, I didn’t know where to start. From the observations over the last 20 years, I’m not alone. Many bodybuilders are confused or simply don’t understand what to do and how to do any type of mobility work in order to stay fit for their sport and stay supple. The art of mobility is a system that can be taught. It’s not a bunch of static stretches. How to be a supple leopard is a system of movement and mobility to keep a person’s soft tissue feeling good with a full range of motion so they can perform at optimum levels. Tight hip flexors? 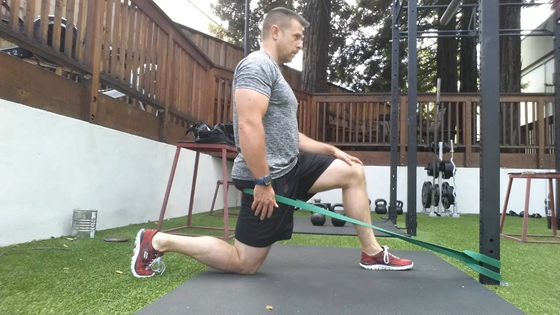 Try a banded lunge to create some distraction while you hold that stretch for 2 minutes. Maybe external rotate that back leg outward? 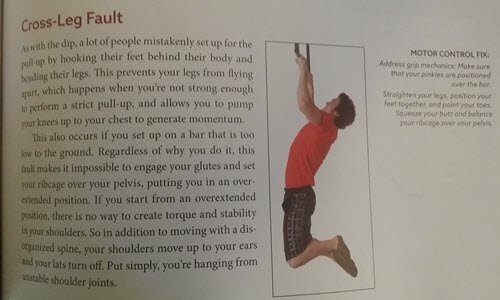 There’s a lot to learn about mobility and Becoming a Supple Leopard by Kelly Starrett is one of the best manuals on the subject. There’s hundreds of moves and ideas to keep you at your peak. It’s easy to learn how to be a supple leopard and fun. “My life changed when I learned how to becoming a supple leopard,” is a common phrase you’ll hear during conversations with anybody who’s gone thru this system. When you crack open a book that is 450+ pages of solid info and photos that weights over 5 pounds, you either have a winner or a real solid method to prop up your coffee table’s legs. Rest assured, this isn’t a normal workout book or some manual. It’s a system and the 2nd edition does a fantastic job of covering most of the bases and making it very easy to read this straight thru. Once you read thru the book, find your tight spots and learn a few key moves, there’s some templates at the back you can use to focus in on specific areas. Kelly is all about finding what might be wrong using leading indicators (not lagging like most programs) and then using specific mobility drills and exercises to try and solve the problem. It only takes 10 minutes (but I’ll be honest, I do it multiple times a day and sometimes I do a few more exercises making it 15). However, you can and will follow specifics for at least 2 weeks going thru a series of exercises to become supple. If you are curious as to the origin of the word, I encourage you to read the post, what is a supple leopard to understand where it comes from and why Kelly Starrett created it. One of thousands of detailed photos with full explanations of the fault and how to correct the mistake. When you are learning how to be a supple leopard, it’s important to know what movements are incorrect, how to do the correct move and what it’s important. This book covers it all in explicit detail. Above, you’ll see one of thousands of detailed explanations of common exercises, what is incorrect from a spinal alignment perspective and how you can correct it. Let me say that that’s how I’ve always done my pull ups. Cross legs behind you and go. When I let me feet go out in front of me, I was pleasantly surprised at how much better it felt on my shoulders and back and how many more reps I was able to get out without any type of pain. So you want to learn how to be a supple leopard? Here’s what’s inside. Areas 1-14 covering all aspects of mobilization techniques! When I read thru the 1000+ how to be a supple leopard reviews on Amazon, most of them were referring to the 1st edition. Which apparently wasn’t as well laid out and was tough to read thru. People didn’t have a sense of where to start and at the end, they didn’t know what to do next. The other issue was people were disappointed this wasn’t the last fitness book the subject and they felt that’s what they wanted. A total and complete manual that covered everything. Is this the Last Book You’ll Ever Need on the Subject of Mobility? In regards to not being the last book you’ll ever need, there’s no such manual. I own this book and a few others on stretching. I would not give up either of them as they both bring great insight into my life. I’ve got many different workout plans and programs and some I keep and others I don’t. How to Be a Supple Leopard by Kelly Starrett is one such book I intend to keep. It’s not the last book you’ll ever need on the subject and frankly that’s not how you want to approach health, fitness or even life. There’s always more to learn from a different perspective. That being said, this is a book you’ll want to own but probably not the last book on the subject. In the world of bodybuilding, CrossFit has us beat when it comes to learning movements and becoming mobile. I’ve found bodybuilders to know more about proper exercise form and nutrition but ask them about mobility or how to fix a tweaked knee and you get a deer in the headlights look. I do think Dr Kelly Starrett with his How to Be a Supple Leopard has crossed boundaries and used technology and the ability to transcend groups to share some really important information with all groups. Anybody who is concerned with their health and making sure they are a fully functional human being will benefit from this book. Now go spend 10 minutes and learn how to be a supple leopard!